What is your background? : I graduated from Cedar Rapids Kennedy High School in 2016, and also a native of the Cedar Rapids. 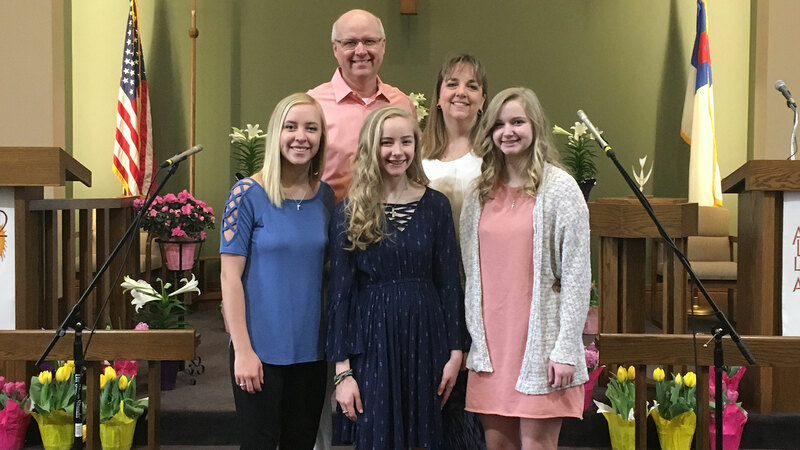 I am the oldest of three blond-haired girls, all of which are graduating this May: Taylor from eighth grade, Paige from high school, and me, from Kirkwood. My two parents, Curt and Christina, were lucky to meet just after college and have the same jobs today since before I was born twenty years ago. What brought you to Kirkwood and why? 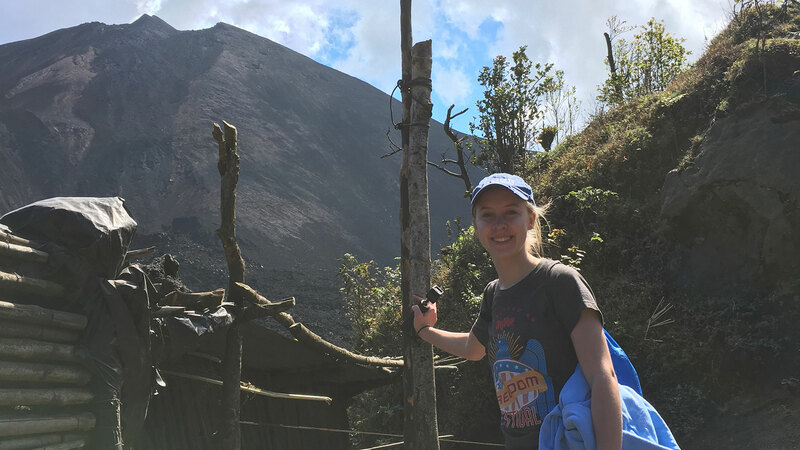 : I came to Kirkwood because of the affordability, scholarship opportunities, location and because I didn’t really have any idea of what I wanted to do in my future life. What is your program of study and what interests you about it? : Here at Kirkwood, I am a Pre-Business Transfer Student planning to transfer to the University of Northern Iowa next fall majoring in Advertising Marketing and minoring in Public Relations. I am interested in marketing because I am creative and artistic, and it runs in my family. I have learned over the past few years that I am a very approachable person, therefore public relations is very suitable and fitting for my personality as well. Being a Pre-Business transfer student, I was able to take a wide variety of courses in the business world, so I can be well rounded, and to also figure out what I really wanted to major in once I transferred. Are you involved in anything else on campus? If so, what and why? : I would have to say that I am very involved on campus, and I have really enjoyed each and every opportunity to get involved! 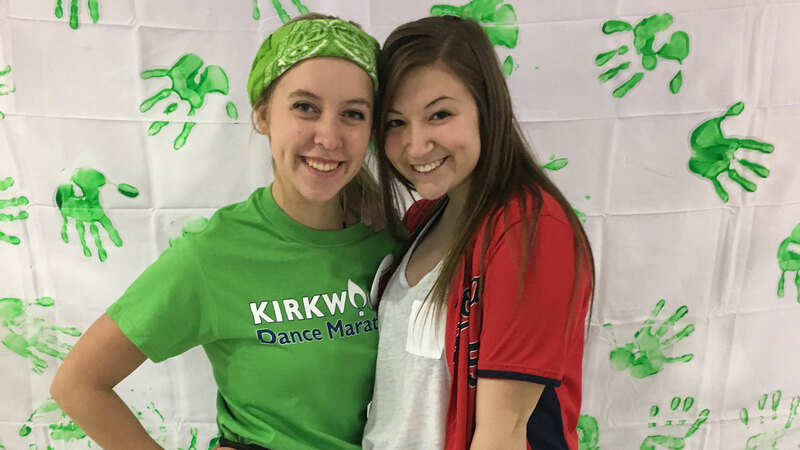 I am a member of Kirkwood Student Ambassadors, Student Leadership Council, Dance Marathon Leadership Committee, and serve on the First-Year Council, Career Services Advisory Board, and the Alumni Leadership Committee. I really enjoy giving feedback to administration, recruiting high school students, and helping plan and promote various events here at Kirkwood (especially if it is For The Kids!). 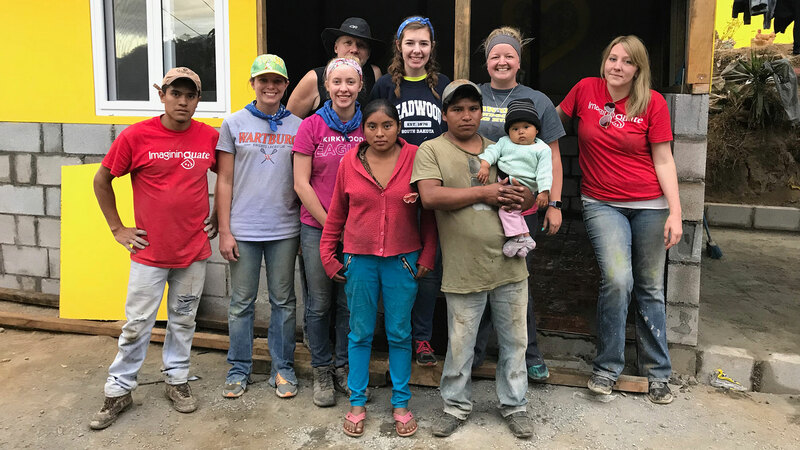 This year I was also able to participate in the Service Learning Study Abroad program to Guatemala, where myself and four other students were able to build two whole houses for two very deserving families. It was the first time that I ever had traveled out of the country, so I was pretty nervous. However, since I have gotten back, I am beyond grateful for everything that I have here in Iowa and the United States. We are so fortunate to have easy access to running water, food, shoes, clothes and education. 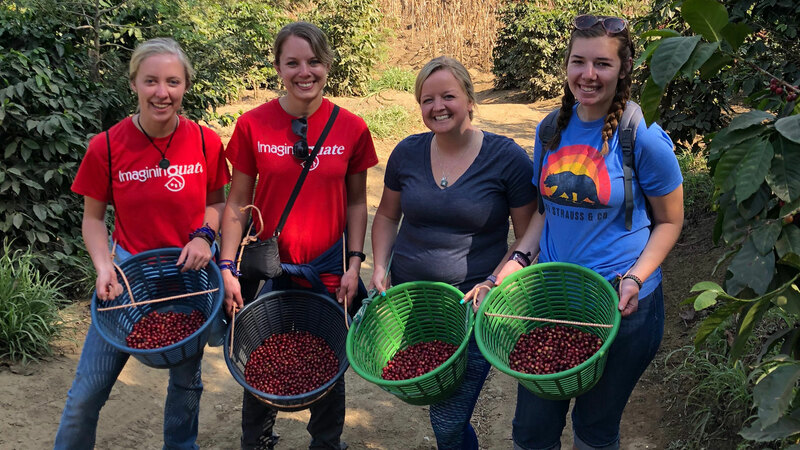 Things like those are what I felt passionate about, and a reason for why I would love to go back to help those who are not as fortunate as I am. I also had the opportunity to travel to Washington D.C. with President Starcevich and a few Board of Trustees, of which was a new trip of a lifetime, not only to sight see basically everything that is in D.C., but also to see where our country is ran, the capitol and the White House. The very best part was strengthening all of the relationships with my fellow students, Seth Vander Tuig and Doug Bannon, Dr. Starcevich, and the Board of Trustees. 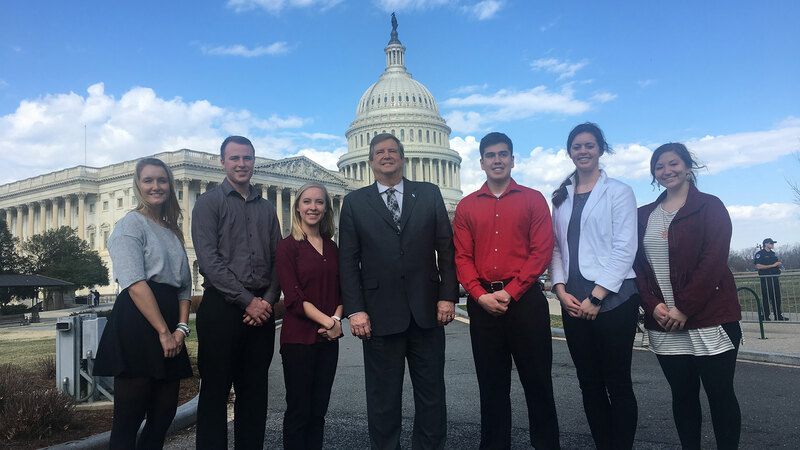 On this trip I really learned a lot about myself, what it means to be on time, and how to be specific when it came time to share our concerns to the House of Representatives and Senate about how federal funding is significant to community colleges, like Kirkwood. Even though this trip was so interesting and such a privilege, I still probably will not go into politics. Are you involved in anything off of campus? : I have two jobs, I am a server at the Edgewood Road Hy-Vee Market Grille, and an intern for the Cedar Rapids Freedom Festival. I really enjoy both of my jobs, at the Market Grille, I am able to make people happy and provide an atmosphere of relaxing and great food. At the Freedom Festival, I really enjoy helping put on various events that promote and engage the Cedar Rapids community leading up until the 4th of July. What do you do for fun? : You could probably find me at Marcus Theaters every five dollar Tuesday this summer, because that is where I have been every Tuesday during this spring semester. I really enjoy watching almost any kind movies. During the summer, I enjoy being on the boat, going fishing, or laying in the sun. 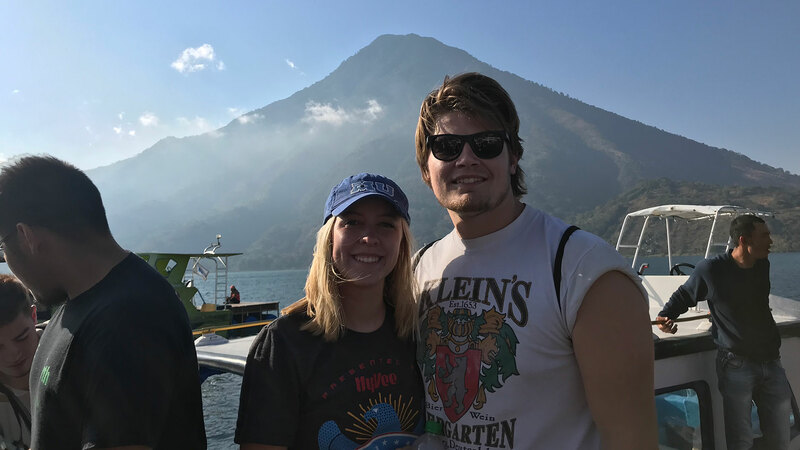 I enjoy spending time with my friends as well, and recently have a new passion for traveling thanks to my trip to Guatemala. Where do you see yourself in five years? : When I was little, I always told myself that I would wear high-heels when I grew up. Still, that is my goal. I probably could be anywhere in the United States, working for a non-profit or a corporation or a local business of any kind. I would like to have traveled to all fifty states by the time I am twenty-five as well. I obviously don’t have any set plans of what I want to do, hopefully plans will come to me!